Fancy trying out some of Dubai’s craziest adventures? From swimming with sharks at Lost Chambers Aquarium to jumping off a plane at Palm Jumeirah, here are 5 insanely fun Dubai adventures that should be on everyone’s bucket list! Ever tried glamping in the desert? For those who haven’t heard the term before, glamping is basically like camping, but with 5-star service and luxury tents! 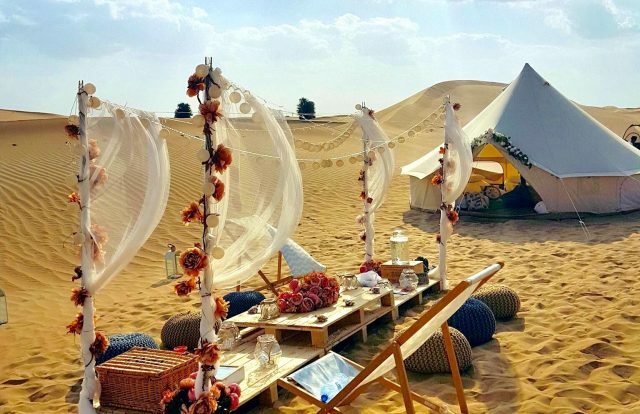 Arabian Glamping will organise everything, while you enjoy camping under the stars in true Dubai style.